The Museum of Modern Art in New York City wanted an interactive way to capture the experience of art with the museum’s three million yearly visitors. 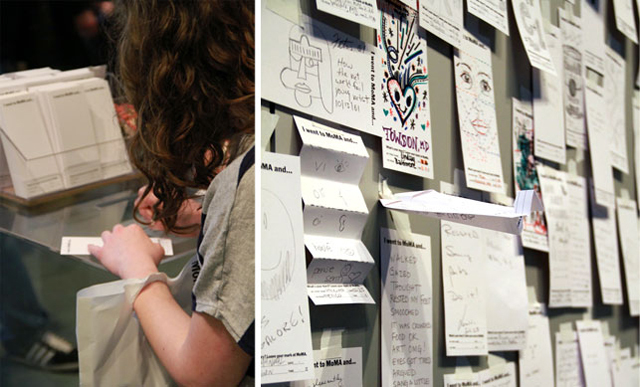 What eventually developed was an open-ended guestbook of sorts called the “I went to MoMA and…” Project where the museumgoer gets to leave their mark using the Museum’s pre-printed notecards. The experiment resulted in an amazing collection of “ruminations, reflections, and observations” and many of them can be viewed and shared from the project’s website.